1 ) Right of withdrawal : in accordance with art . 5 DL 185/1999 , if the customer is a consumer ( ie a person who buys goods for purposes not related to his profession) , is entitled to terminate the purchase contract for any reason, without explanation and without any penalty . or by telegram or fax or email sent within the said period of 14 days. Once such notice of withdrawal, the Customer Service will quickly inform the customer instructions on how to return the goods that must take place within the next 48 hours. For hygiene reasons, the products sold in dropper bottles or bulk must be returned intact and unopened with their seal of guarantee intact. 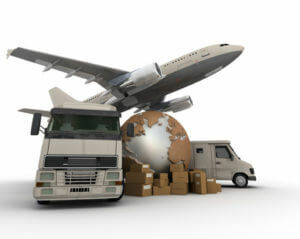 on his arrival in stock, the product will be examined to assess any damages not caused by transport. Maison Esthetique srl will reimburse the customer the full amount paid by bank transfer within 14 days of return of goods. The Buyer shall promptly provide to the bank on which to obtain reimbursement (Cod. ABI – CAB – Current Account of the invoice). the product is damaged for causes other than its transport . In case of forfeiture of the right of withdrawal , Maison Esthetique srl It will return to sender the property purchased by charging the same shipping costs .